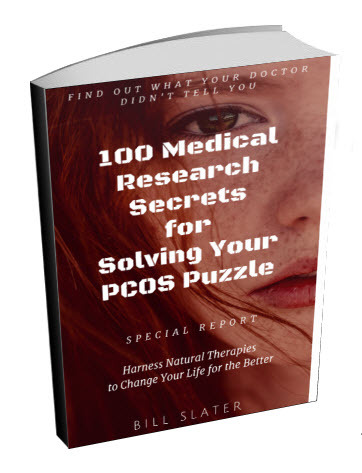 Are Some PCOS Women Starved for Oxygen? If you suffer from PCOS and are overweight, your fat cells may be starved for oxygen, according to a study published by Louisiana State University. This is a condition called "adipose tissue hypoxia" or ATH. Like all of your cells, your fat cells require oxygen in order to function. Oxygen comes from the air that you breathe in. The more fat cells you have and the bigger they are, the more oxygen you need. The problem is that if you are weighted down by too much fat, you are less likely to be physically active and thus breathe in enough oxygen. So what happens when your fat cells don't get enough oxygen? They go into a state of distress. Imagine how you would feel if you put a plastic bag over your head and couldn't get enough oxygen. You would feel very distressed. The same is true for your fat cells. Hypoxic (distressed) fat cells produce substances that create inflammation in your body and throw your hormones out of balance. For example, hypoxia may lead to an increase in the hormone leptin, which may result in a condition called "leptin resistance". 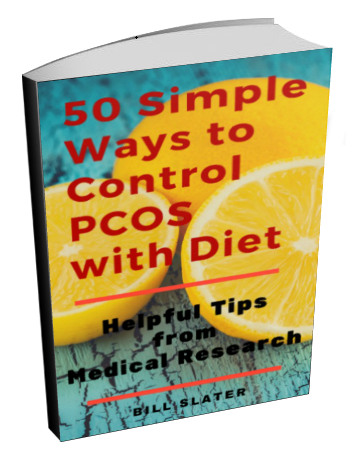 Leptin resistance is intimately involved in various PCOS problems, appetite control and your fertility. 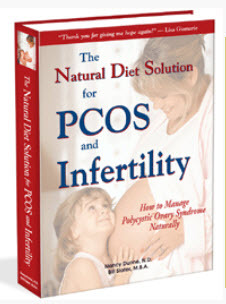 (Read chapter 16.3 of The Natural Diet Solution for PCOS and Infertility to learn more about leptin resistance). Thus adipose tissue hypoxia (ATH) worsens the symptoms that are troubling you. It's a vicious circle. OK, so what can you do about it? Well, there are at least two things you can do. First, you can bring in more oxygen. Sitting on the sofa or in front of a computer does not bring in much oxygen. Physical activity is what brings in oxygen. The more active you are, the more oxygen is provided to your fat cells. This is one reason why physical activity and regular exercise is so very important for getting good health results. Second, you can reduce calories in your diet. Every calorie you consume has to be processed by your body. In order to process that calorie, oxygen is required. The more calories you consume, the more oxygen you need. So if you reduce the caloric load in your diet, you also reduce your oxygen requirements. But please note there are good calories and bad calories. A bad calorie is one that has little or no nutrition associated with it. For example, soft drinks are all bad calories. Vegetables are all good calories. 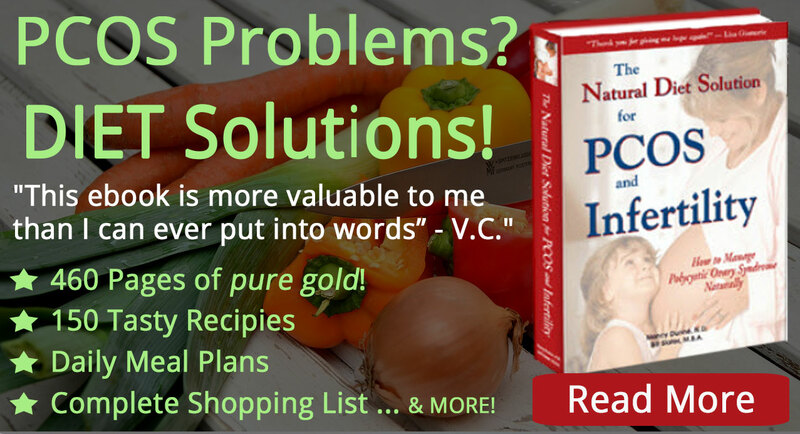 This diet ebook gives a complete explanation of low-calorie, high-nutrition diet. A condition of "oxidative stress" exists when pro-oxidant factors in the body exceed the anti-oxidant factors. 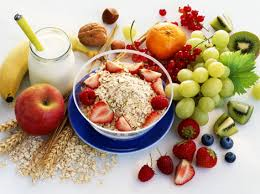 The result is an accumulation of unstable, destructive molecules called "free radical" molecules, which damage components of the cell membranes, proteins or genetic material by "oxidizing" them. This process is the same chemical reaction that causes iron to rust. Oxidative stress can result from many factors, including exposure to poor quality diet, environmental pollution, alcohol, smoking, medications, trauma, toxins, excessive exercise, or inflammation, to name a few. 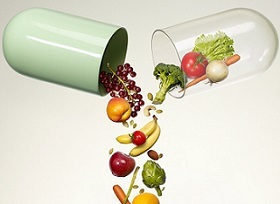 Oxidative stress it thought to be a primary cause of degenerative diseases and accelerated aging. As a group, women with polycystic ovary syndrome are more likely to experience oxidative stress than healthy women. 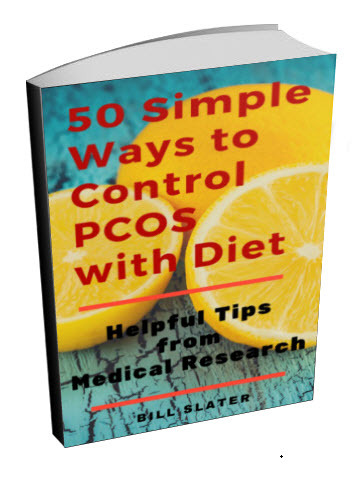 For example, a study from the University of Harran in Turkey found an increase in oxidant status in women with PCOS. This increase was related to central obesity, age, blood pressure, serum glucose (blood sugar), insulin and triglyceride levels, and insulin resistance. In addition, their antioxidant status was found to be insufficient. The researchers said these findings suggest that oxidative stress may contribute to the increased risk of cardiovascular disease in women with polycystic ovarian syndrome. But oxidative stress does more than increase cardiovascular risk. It also promotes increased inflammation and induces insulin resistance. It may also interfere with reproductive function. Oxidant stress is part of the vicious cycle of increased inflammation leading to insulin and leptin resistance and thus creating excess weight. Women in general appear to be more likely to have oxidant stress than men, according to a research study conducted at the University of California at Berkeley. Are You Starved for Oxygen? 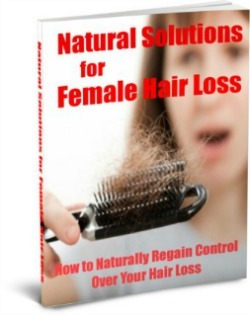 Is This a Hidden Cause of PCOS?